Rights court agrees to hear Turkey’s appeal on the detention of Selahattin Demirtaş, who faces terrorism-linked charges. The European Court of Human Rights (ECHR) is set to hear Turkey’s appeal on the detention of an opposition leader accused of terrorist links, according to Turkish Justice Ministry on Tuesday. 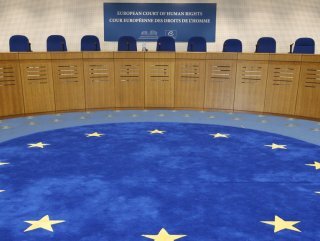 The ministry said the ECHR will reevaluate its ruling last fall that former opposition Peoples' Democratic Party (HDP) co-leader Selahattin Demirtaş should be released, as his detention had exceeded a “reasonable period.” "On 18 March 2019 the Grand Chamber Panel accepted the Government’s and the applicant’s request that the case be referred to the Grand Chamber," the court said in a separate statement on Tuesday. Last November, the court ordered Demirtaş’ release, claiming his detention had been extended on insufficient grounds. In November 2016, Demirtaş and 12 other HDP lawmakers were arrested on terror-related charges. Demirtaş remains in custody pending trial. The Turkish government has accused the HDP of being linked to the PKK, which is listed as a terrorist organization by Turkey, the US, and the EU. In its more than 30-year terror campaign against Turkey, the PKK has been responsible for the deaths of nearly 40,000 people, including many women and children.